Oasis is engaging with the emergent questions and actions that will help you and your organisation prepare for this future workplace. What steps can you take to move your organisation forward? We have worked closely with a number of leading businesses across a variety of different sectors to gather cutting-edge research examining the challenges organisations are facing. 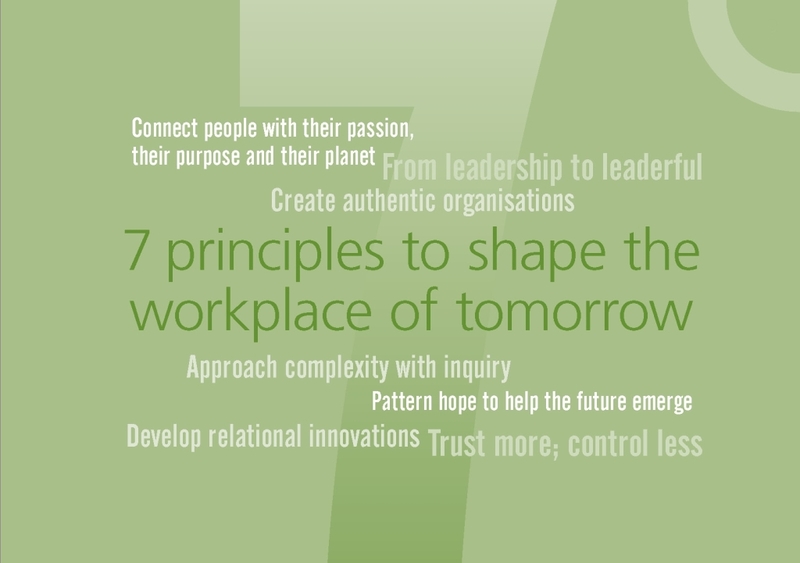 We published our report about the 7 Principles to Shape the Workplace of Tomorrow in January 2015 – you can download this for free here. 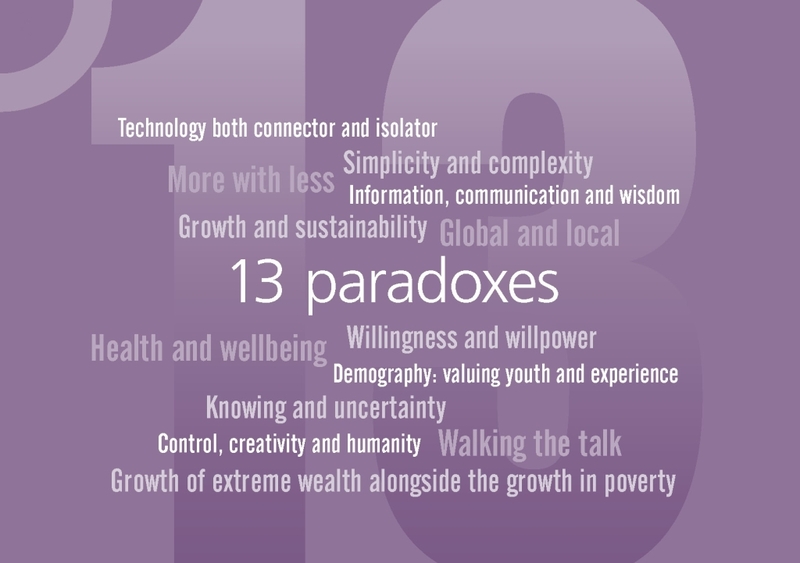 The report highlights 13 paradoxes which impact on the workplace, and 7 principles to shape action for the future. You don’t have to make massive changes overnight, small steps can make a real difference. Although every organisation’s experience and story will be unique, we have set out 5 starting points which businesses have used in helping to get them towards a Workplace of Tomorrow. We hope these will resonate with your own challenges. To find out more about our response to the Workplace of Tomorrow, please contact Cathy Neligan on 01937 541700 or use the contact form. We are always interested in starting conversations and working with you to find a way forward that works for you and your organisation. Remember, you can download the Workplace of Tomorrow report, read the think piece on how the principles can be applied in the health and social care workplace or view some of the commitments supporting the principles here. Others are taking action, why don’t you? 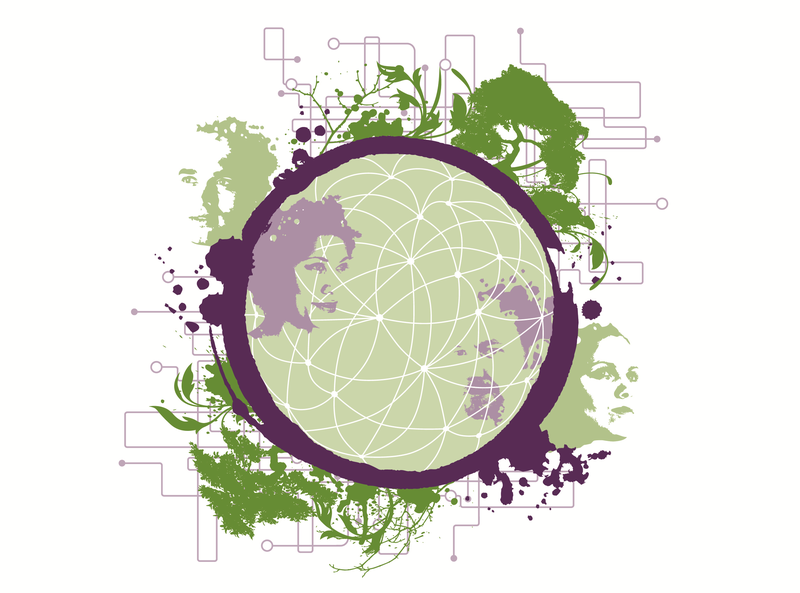 Our vision for the Workplace of Tomorrow is of individuals and organisations as active planetary citizens – each acting within the wider interconnected world, contributing to the health and wellbeing of ourselves, each other, our communities and the planet. Designing new programmes, processes, initiatives and inquiry-based projects. As part of the next phase of research we are conducting interviews with family businesses to further explore the issues and possibilities, as well as offering a masterclass for Institute of Family Business members. In 2004, we embarked on a UK collaborative inquiry into the nature and role of leadership in the 21st century. In the same year, we were initiating partners in a global inquiry, founded by the EFMD and supported by the UN Global Compact, into how to develop the next generation of globally responsible leadership. We have been a core partner of the resulting Globally Responsible Leadership Initiative since 2005. Our findings identified collaborative approaches as central to many emergent leadership practices. In 2009, aligned with a number of other Oasis initiatives, we launched a UK project to explore the requirements of the workplace of tomorrow. Through a series of workshops, key contributors engaged with and deepened understanding of issues including economic concerns, changing demography, the Black Report recommendations and the environment. In 2013 we revisited the question by interviewing individuals from organisations ranging in size, sector and diversity. Our research focused on the changing workplace, the global challenges, the place of technology, wellbeing and the requirements for the future. The research was launched in the UK in London, Yorkshire and Edinburgh in early 2015 and internationally in June 2015 at the Globally Responsible Leadership Initiative Annual Sessions in New York. at a conference for social impact organisations hosted by Oasis and Triodos Bank. 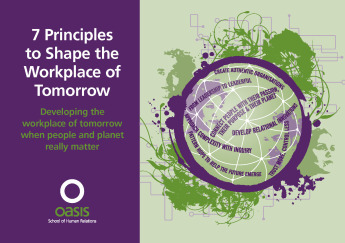 Oasis has been encouraged to expand the workplace of tomorrow to embrace the wider emerging questions faced by organisations, issues that go beyond the cultural and workplace questions.